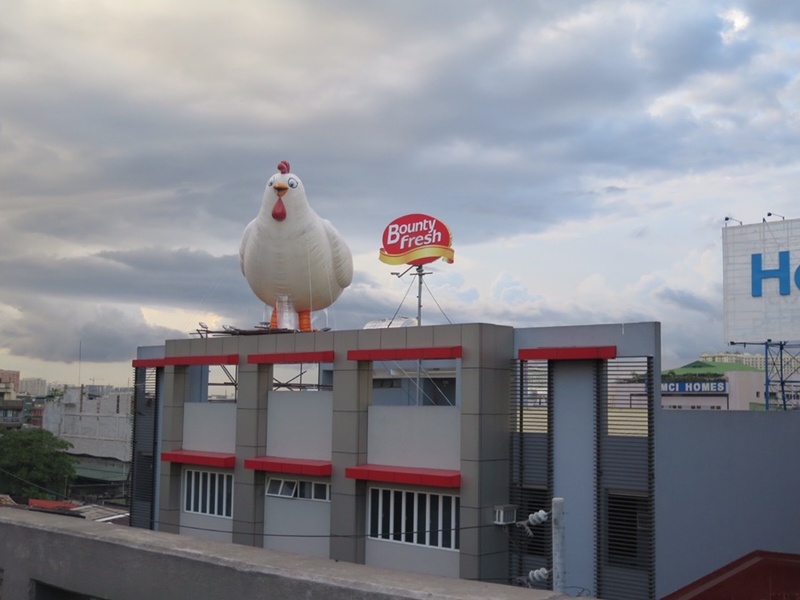 I saw a big chicken on the top of one building in Magallanes last week and that humongous animal made me smile. It's really big but it's not real because it's just an inflatable chicken. This installation is a head-turner because I've noticed that some passengers inside MRT laugh secretly and had a smile on their faces after seeing that big chicken from afar. One of Bounty Fresh’s giant chicken installations located at EDSA-Magallanes (south bound) has brought smiles to motorists. 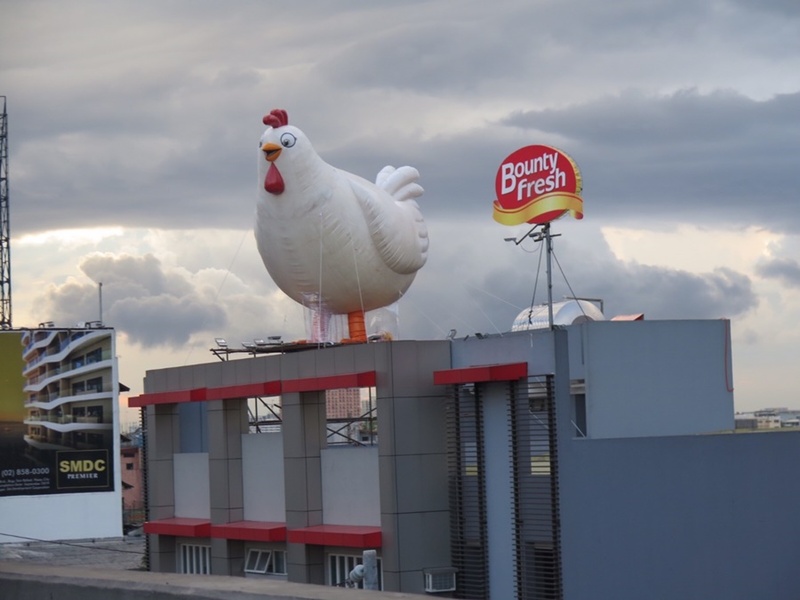 These chicken giants also support the “Laking Farmfresh” concept that Bounty Fresh lives by, providing quality products that bring an extra fun surprise to the table. Have you seen one of the inflatable chickens yet?